BiznextIndia : In what could be a game changer for the Indian Air force , the US made Chinook Helicopters will be formally inducted today. The Induction ceremony will be held at the Indian Air Force base at Chandigarh. #Chinook: CH-47F (I) Chinook is an advanced multi-mission helicopter that will provide Indian Air Force with unmatched strategic airlift capability across the full spectrum of combat & humanitarian missions. 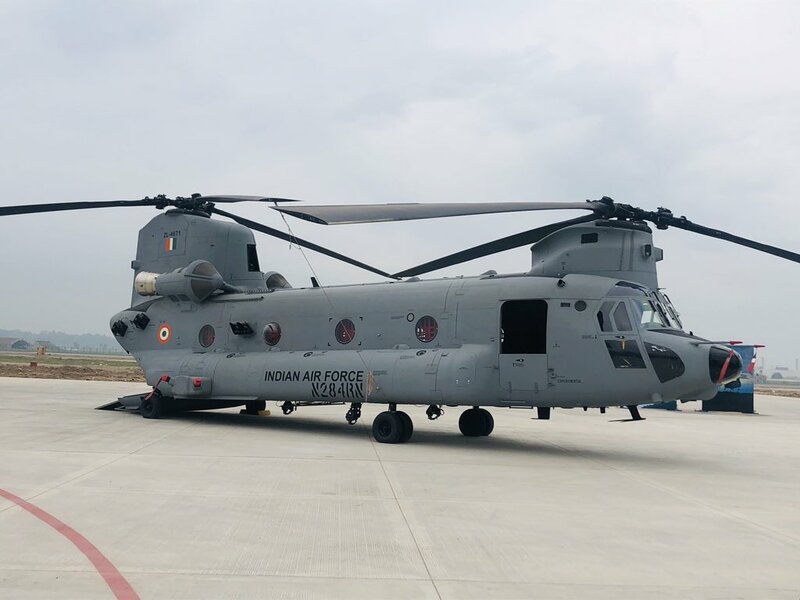 Chinook is an advanced multi-mission helicopter that will provide Indian Air Force with unmatched strategic airlift capability across the full spectrum of combat & humanitarian missions. It is a heavy lift, tandem rotor helicopter which serves armed forces of 19 countries. It is a multi-role platform and is used for the transport of troops and material among other roles. It will greatly enhance IAF’s HADR capability. Chinook can deliver heavy payloads to high altitudes & is eminently suited for operations in the high Himalayas. It will greatly enhance India’s capabilities across a range of military & HADR missions, the IAF has said.